Thank you for choosing Dentistry by the Bay, a premier dental practice located in Belleville, Ontario. Our team of dental care professionals is committed to offering the best dental and periodontal care available for the whole family in a compassionate, relaxed atmosphere, all under one roof, utilizing the most advanced technology available. One of the first things people notice about you is your smile! At Dentistry by the Bay, we are pleased to provide several general and aesthetic treatment options for enhancing your smile as well as preventative for both children and adults. We have served the Belleville community for over 15 years, and our team is proud to serve your entire family in maintaining healthy, beautiful smiles for many more years to come. The team is committed to offering the best dental, periodontal and implant care available for the whole family in a compassionate, relaxed atmosphere, all under one roof, utilizing the most advanced technology available. We appreciate your interest in our Belleville dental practice. Working together we can assist your entire family in maintaining healthy, beautiful smiles for years to come. Our multitasking dental receptionist / administrative assistants friendly manner welcomes all patients to our office. They will make your experience as pleasant as possible as they manage the schedule, process insurance claims, accounts receivable and calculates insurance estimates. Our Administrative Team works hard to solve insurance questions and make sure you are satisfied with our answers to any dental questions you might have. They will gladly assist you with patient appointment confirmation and are happy to answer any question you may have. Make sure you say hello Bonnie and Victoria at your next visit! 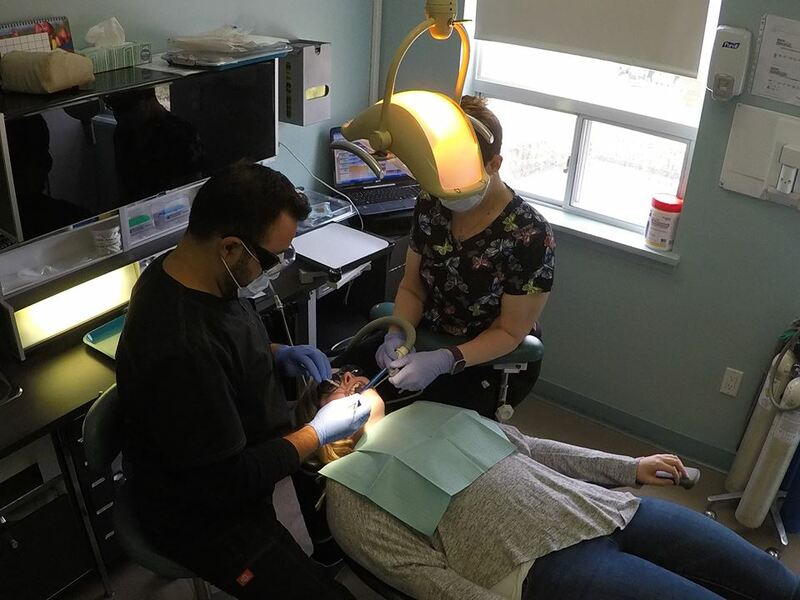 Our hygienists perform the services our patients require so they are able to achieve and maintain optimum oral health such as thorough, gentle cleanings and procedures for gum disease prevention and treatment. Providing our patients with oral health education is also a big part of their job. They allow our patients to be prepared as well as active participants in their goal for excellent oral health. Our Registered Dental Hygienists Dana, Debbie, Roxanne and Morgan are looking forward to seeing you! Providing our patients with a relaxing, warm environment to work through treatment concerns, create financial plans at a pace that allows them time to make an informed decision about their Dental Health is our priority. Our patients are top-notch, our training is continuous and the desire for the whole team to succeed in their goals is always gratifying. There's nothing like the satisfied look on a patients face when they've navigated the sometimes confusing world of insurance/financing and the unknown of treatment to come out the other end with an even bigger, better smile. To calm fears, answer questions and help make treatment possible is rewarding. Our Treatment Coordinator is waiting to meet you! We feel that spending time with each person to explore their dental and personal concerns will lead to a better understanding of each person’s problems and we can work together to achieve the best possible smile for each person and have their treatment delivered in a relaxed manner with sedation. 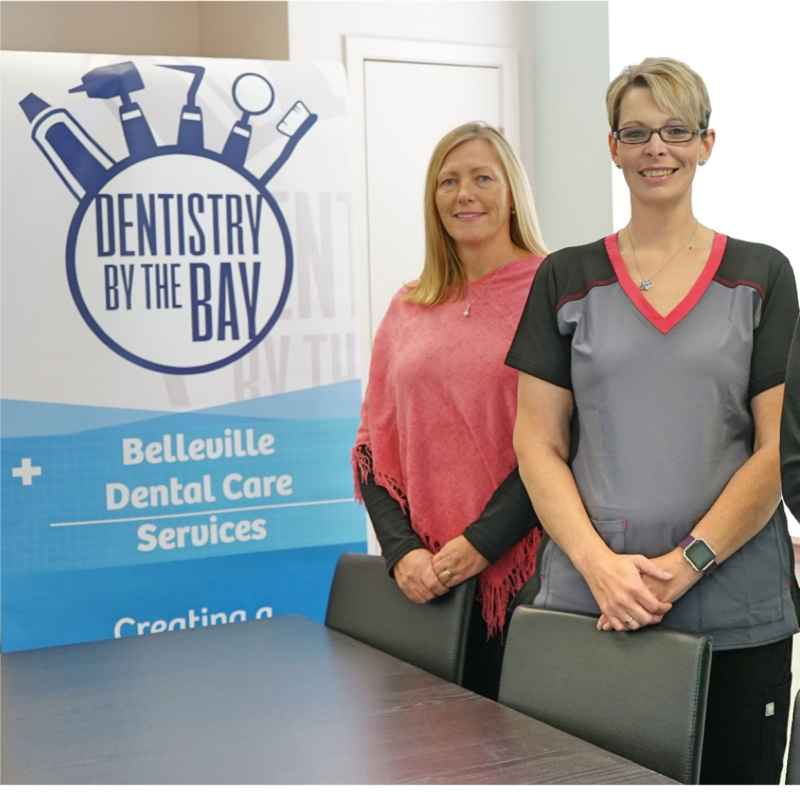 Request an appointment with Dentistry By The Bay, dental office in Belleville providing dental care to patients.